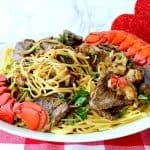 Steak and Lobster Linguine is perfect for a Valentine’s Day celebration meal or any other special occasion. When it comes to a special occasion meal, such as Valentine’s Day, who doesn’t think of surf and turf? 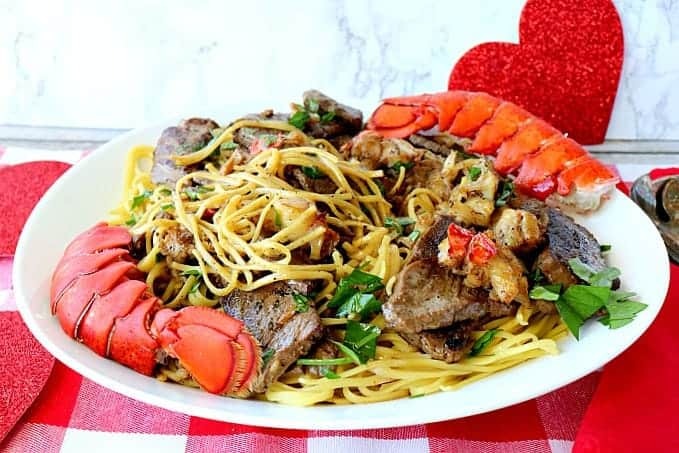 So then, why not treat your sweetheart to a home cooked and relatively easy Valentine’s Day meal of Steak and Lobster Linguine to show them just how much you really care?! 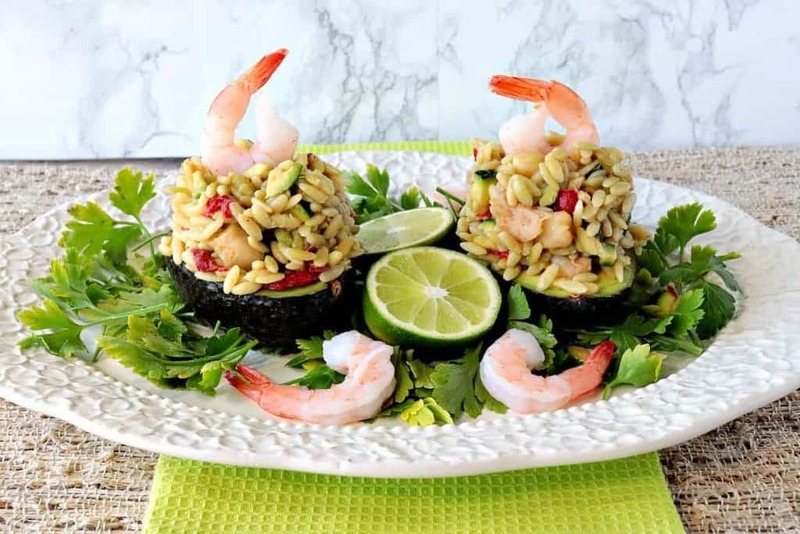 **Please Note – The printable recipe card with detailed instructions, complete ingredient measurements, and nutritional information for making surf and turf linguine is available near the end of this post. Instead of using beef tenderloin, please feel free to use a different cut of beef or protein altogether. Something will fit your budget (or taste preferences) better if desired. Pork tenderloin is an excellent choice. Shrimp or crabmeat will work well as a substitution for the lobster tails. You can purchase them already cooked (if you wish), but if you do make sure you add them to the skillet along with the wine and butter sauce right before serving (and only to heat through), so they won’t turn rubbery. 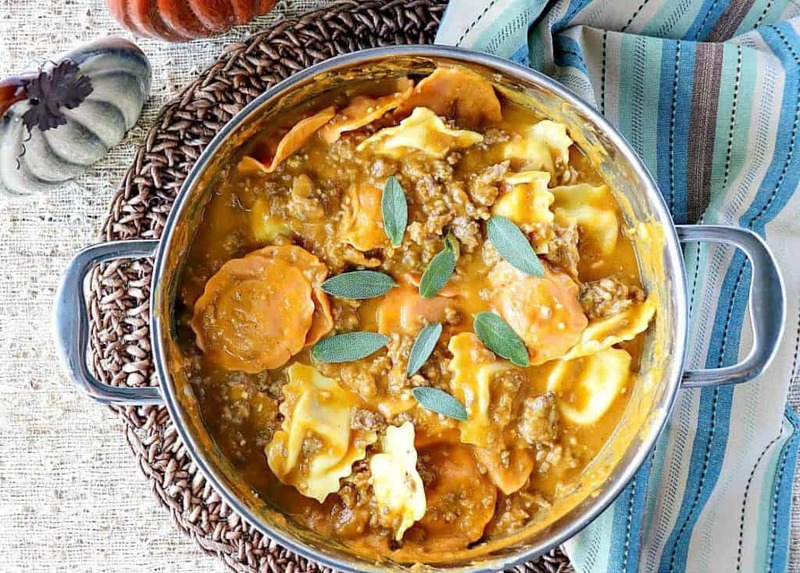 Any pasta which is your favorite will work in this recipe. I chose linguine because, to me, it’s romantic. 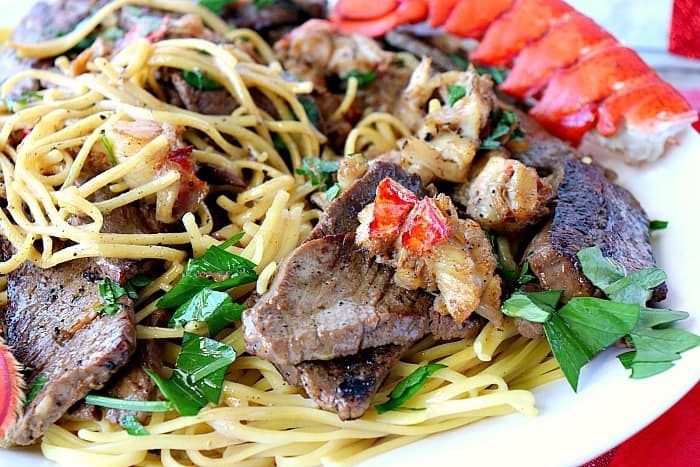 What type of white wine do I use for making surf and turf linguine? I used a Pino Grigio, but a chardonnay or even a rose will work. Make sure to purchase a wine that will fit your budget. Also, make sure you use a wine which you would drink out of a glass, and not one specifically made for cooking. Cooking wines are not made for drinking on their own, so why would you cook with them? Tips for slicing thin and tender pieces of protein. I’ve found the best practice for slicing proteins (of any variety) thinly is to have the meat partially frozen. The knife will easily glide through the partially frozen meat, enabling the cutting of thin and uniform slices. I’ve found the best practice for slicing proteins thinly is to have the meat partially frozen. The knife will easily glide through the partially frozen meat making thin, uniform slices. Always slice across the grain of the protein to ensure tender, easy to chew, meat. 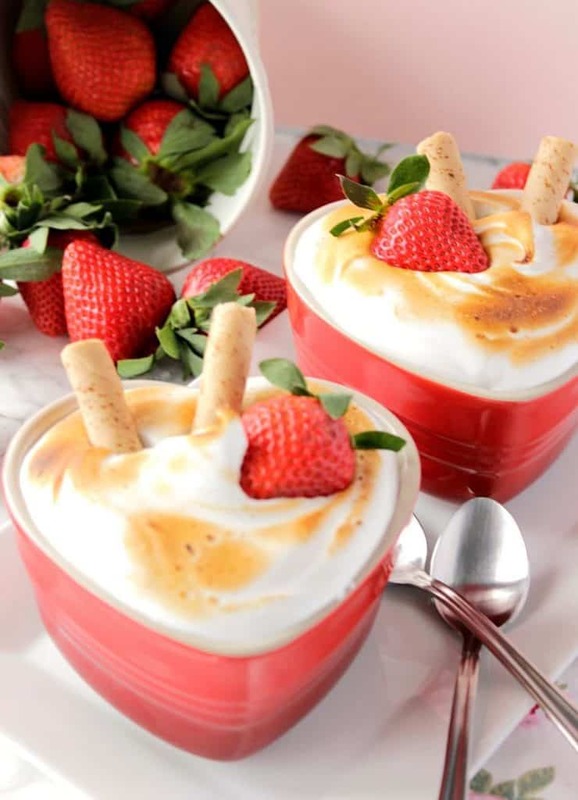 If you’ve enjoyed this recipe and look forward to making it (or already have), I’d appreciate if you’d take a moment to give it some feedback by way of stars near the comment section at the end of this post. Thank you so much! 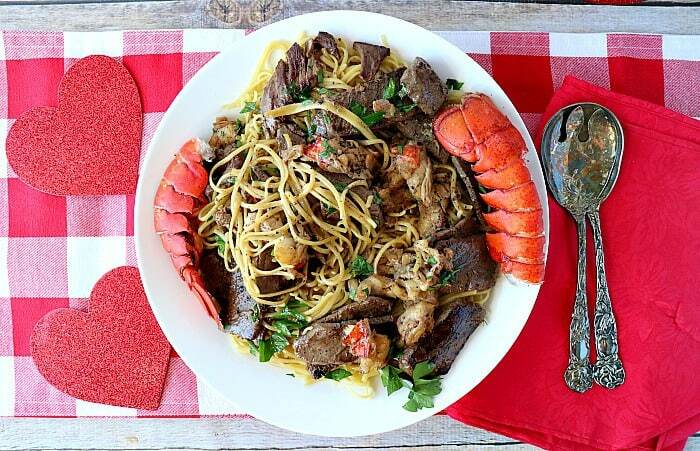 Steak and Lobster Linguine is perfect for a Valentine's Day meal or any other special occasion. Add the white wine to a skillet. Bring to a simmer and add the lobster tails. Cover and cook the lobster for 5 - 7 minutes over medium heat. Uncover and remove the lobster from the skillet. Keep warm. Reserve the white wine cooking liquid to a bowl and set aside. Season the steak with salt and pepper. Melt the butter in the skillet and sear the steak on both sides. Remove the steak to a plate and keep warm. Add the remaining wine, reserved cooking wine, cream, butter, and seafood seasoning to the skillet making sure to scrape up the browned bits from the bottom of the pan. Simmer over medium-low heat to thicken slightly. Carefully cut the lobster shells open with kitchen shears and remove the lobster meat. Cut into chunks. Add the seared steak and lobster chunks into the sauce and stir to combine and heat. If desired, add a bit more butter and a splash of extra wine (optional). 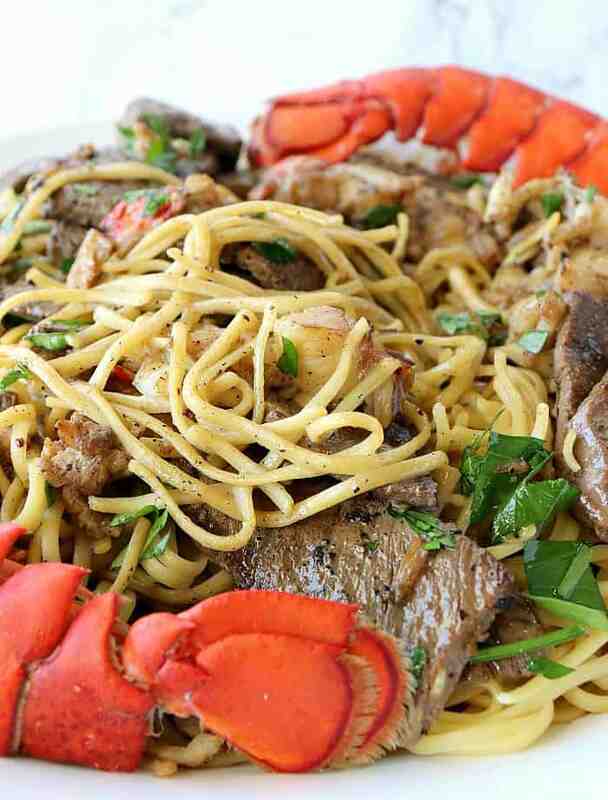 Add the cooked linguine to a bowl and top with the steak, lobster, and sauce. Garnish with fresh chopped parsley if desired. 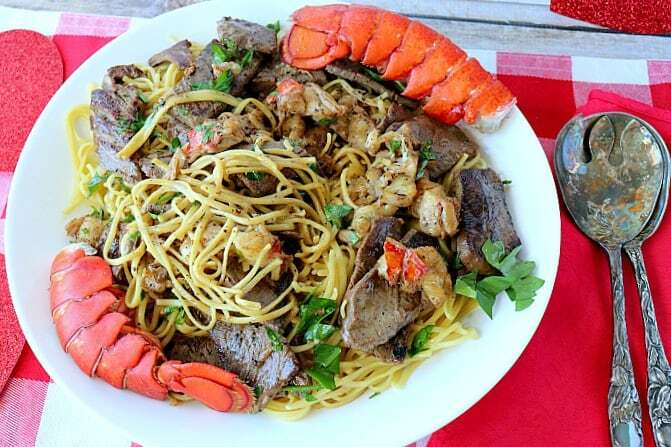 I sincerely hope you’ve enjoyed today’s special occasion recipe for surf and turf linguine as much as I’ve enjoyed bringing it to you!! Even the leftovers were fantastic. This right here is perfection! What a flavor-packed meal. What a delicious meal. I’ll be making again soon!! How nice that you have so many special occasions to celebrate, Aimee! Enjoy!